Toyota's Turmoil continues Over two million additional vehicles recalled. A production shutdown of eight popular models. Dealers unable to sell recalled cars and auto analysts predicting permanent dents in consumers idea of Toyota quality. Whats causing the unintended acceleration and how is it being fixed? We will have full extensive coverage. And yes there was plenty of other automotive news GM makes it permanent. Ed Whitacre is their new CEO and he has set some big goals. 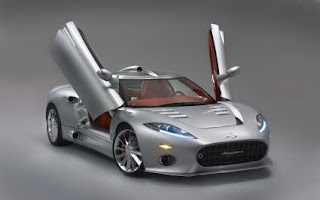 Plus Spyker and Saab make it a done deal. But Will the super car manufacturer be able to go main stream? All that an "At the wheel" review of the 2010 Cheverolet Equinox AWD and a whole lot more when we get rolling on this weeks Cruise Control.